Rate this Article The efforts made in the field of Virtual Reality have been going on since the 1960’s but it is only today that we can really get a glimpse of the true potential VR has in store for us. The efforts made in the field of Virtual Reality have been going on since the 1960’s but it is only today that we can really get a glimpse of the true potential VR has in store for us. VR can be defined as a hypothetical three-dimensional visual world created inside a computer which we can enter, move about and interact with the objects within. Today, we have the technology to harness VR and use it to assist us in many different ways as it has been made progressively available to the general public at large. Many of its uses and applications have been commercialized specially in the field of entertainment as many more are being created to assist in different fields and sectors of society. Technology is a tool that can be used to better, enhance and upgrade our way of life and it is a sign of progress. However, technology can and has been in the past miss-used for purposes non-beneficial to the survival of the human race. Virtual Reality is a technology and how we ultimately use it will define its future. With that in mind, let us look at the current state of the technology itself and some of the uses it is being applied to. Today, when one wants to enter the realm of VR, certain equipment is needed to do so. A visual output device or headset-visor will have to be worn in order for you to see that virtual world generated by the computer. External sensors also have to be worn so the machine can detect your movement and relay them as input to the virtual world it is running at the same time. This is how you interact with the digital reality, a second reality from reality as we know it. Future wise, as devices get smaller and inversely their capabilities get bigger, the future will do away with all these clunky devices. Evidence of this is already happening as VR development is shifting to the mobile industry making use of the smallest devices to fit into VR headsets which can practically be worn anywhere without being tethered to a clunky computer itself. Users will be able to enter a virtual world with other users no matter where they may be and interact with each other and their mutual digital surroundings. A dark side of the future is even speculated where Nano-Technology and VR computer chips are directly applied to the human brain which can then fully interface with a cybernetic virtual network with the brain’s ability to download and upload information just like the computing devices we have today. Cyberpunk has been trumpeting this prediction with books, novels and movies like Neuromancer and Johnny Mnemonic and music from bands like DEVO. 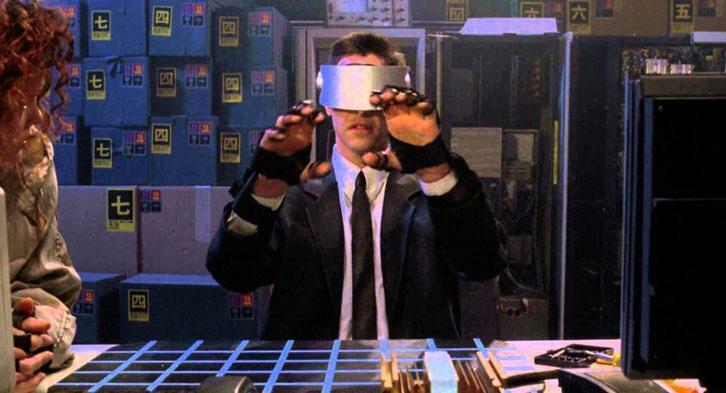 Virtual Reality in reality is software. It is an amalgamation of programs working together to bring you these digital worlds and provide you with the means or interface to interact with it. Everything becomes as realistic as possible from the device operating systems to the applications that perform specific tasks. The use of VR is expected to grow at an exponential rate. These are currently some of those uses. Virtual Travel - These are programs that display videos to you in the form of guided tours or free roaming presentations where you are made to believe that you are actually there at the particular location. The ability to view your surroundings in 360-degrees both horizontally and vertically adds more to the realism of the experience. Virtual Field Trips – Similar to Virtual Travel but intended for specific locations like university campuses, museums, manufacturing facilities, Archeological dig sites and other places which normally require physical field trips to. These would particularly be useful in education and informational presentations. Virtual Conferences and Meetings – The need to bring people together at such short notice where specific presentations and multimedia information are of great importance and discussed in real-time would benefit a lot from VR. No matter the location of an individual, the ability to attend such realistic meetings where crucial data is blended with the environment would no doubt be of great advantage in the times to come. Virtual Education and Training – One of VR’s biggest potential is in the field of education. Virtual classrooms for elementary, intermediate and university/college levels would become a reality. Educators and students will be able to interact with each other and share real-life knowledge and information at the virtual level. Lectures, group discussions, classroom experiments and other activities all done through your headset and VR interface. Training sessions which may prove otherwise risky in real-life can be performed avoiding accidents, errors and mistakes that could lead to actual injury and fatal loss. Virtual Productivity and Processing – The use of VR in industry with applications in engineering design, test simulations, office productivity where work you normally do in an office like filing, sorting, word processing and others can be done in VR and have real-life results. Factories can even employ VR as a means to manage the productivity of their automated applications. 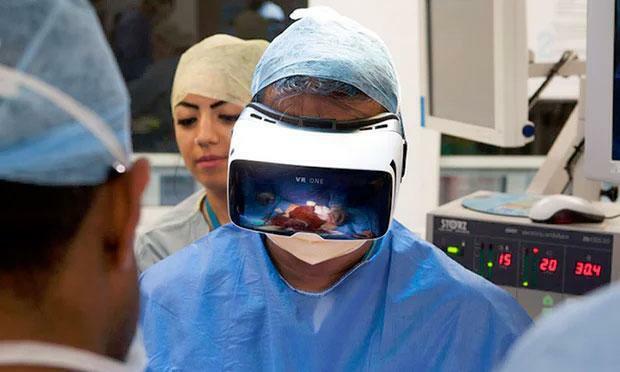 Virtual Scientific and Medical applications – Today, VR is being used as a tool by Psychiatric and Psychology clinics and departments to treat mental disorders. An example would be the treatment of various Post Traumatic Stress Syndromes exhibited by returning military veterans and other ordinary civilians who have traumatic experiences that continually interfere with having a normal life. Simulations of scientific data and research in other fields of science like Physics, Chemistry, Astronomy to name a few as well as other applicable uses in these fields will definitely be applied in the coming years. Virtual Entertainment - The most hyped use of VR today. The entertainment industry which includes the movie and digital gaming industry is currently the most profitable application in terms of revenue and monetary gain. The capability of VR to mimic real-life and even more has stunned millions all over the world. From virtual theaters to battlefields, the immersive experience brought about by this technology will continually change our perception of reality in the times to come. The varied applications of VR will continue to expand. This will include military applications which may or may not be good and even some uses that might end up as a threat to real-life itself due to their dark and shady nature. VR is a great discovery and so was the Theory of Relativity and Quantum Mechanics. How mankind chooses to use this technology will determine its future and what it will bring to all of us.